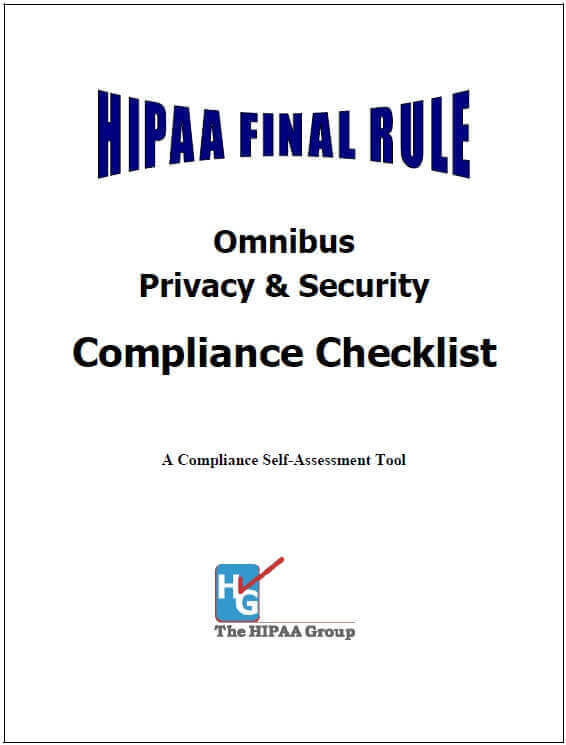 Are You Fully Compliant with the HIPAA Final Rule? You asked for it: a comprehensive checklist covering HIPAA Privacy, HIPAA Security, HITECH, the Final Rule, and even optional HIPAA "Best Practices". 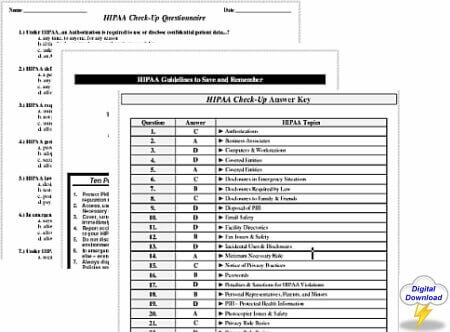 This simple checklist allows you to review every one of the most common HIPAA compliance requirements under HIPAA to see exactly where you stand. Handy citations show precisely which section of the Regulations covers each compliance requirement, so you can do your research and fill in your compliance gaps. All of the Privacy compliance requirements are in this section, updated for the Final Rule changes now in effect. You'll quickly be able to determine if there is anything missing from your Privacy compliance efforts. All the Security Rule requirements are in this section, along with their HITECH and Final Rule amendments. Be sure your electronic PHI is protected and all your technical compliance requirements are in place. Go beyond the minimum compliance requirements with this suggested list of additional steps you and your organization can take to be "best in class." Make sure you have covered all of the HIPAA compliance requirements by using this convenient HIPAA Final Rule Compliance Checklist. If you've missed anything, the Checklist will show you. Don't guess, gain peace of mind about your compliance status. This product is delivered in PDF and Microsoft Word formats (Zipped) as an instant download after your purchase, so you can begin using it right away.